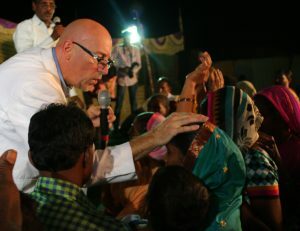 Dr. Vincent Bauhaus has conducted over 20,000 documented deliverance ministry sessions and exorcism, including to many Pastors, Priests, medical doctors and prominent individuals and is considered internationally greatly anointed and the principle expert and operates in the gift of healing. 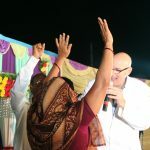 The deaf hear, the lame walk, the sick and oppressed are healed when Evangelist Vincent ministers. 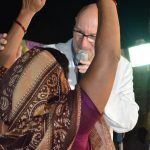 Dr. Vincent Bauhaus an ordained minister who has conducted open-air gospel crusades and conferences all over the world. Currently based in the United States, and fortnightly in LONDON and regularly in Australia, he travels throughout United States, besides his crusades around the world. 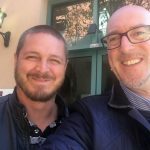 For well over 15 years years, he has done many thousands of hours of confidential personal deliverance ministry and exorcism one-on-one with a great multitude of people all over the world. All with a large variety of trauma and or demonic problems. 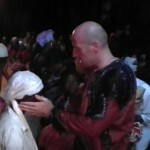 His deliverance ministry/ exorcism/ inner-healing ministry has helped people suffering from the effects of juju, witchcraft, obanji/water spirits, spiritual husbands or spiritual wives, freemasonry, the occult, rejection, depression, physical illnesses, molestation, verbal and emotional abuse, pain/trauma, DID/MPD, schizophrenia, voices (Dissociate Identity Disorder/Multiple Personality Disorder/MPD/DID/BPD/ADHD/OCD/CDD) and many more. Pastor Vincent himself has a theological doctorate and majored in psychology and is endorsed by many medical doctors, psychologists and psychiatrists as the real deal, with so many deliverances and astonishing medically verified healing testimonies. 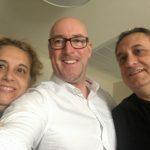 Evangelist Vincent is based in Los Angeles, monthly in New York and Miami, but travels all over the USA and worldwide and he is fortnightly in LONDON & regularly in Australia. But also travels worldwide and on-request, read the rest of the page then call and see 'Events Calendar'. He has lived many years in East and West Africa. There he gained knowledge and experience in delivering people from deep witchcraft oppression and water spirits aka obanji and spirit husband, etc.. The Lord has powerfully anointed Evangelist Vincent and uses him as the principal and internationally acclaimed expert on deliverance ministry, exorcism, inner healing, trauma counselling, various identity and personality disorder restoration like DID, MPD, BPD, OCD and spiritual warfare. 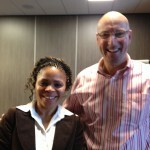 People from all over the world visit Revd Dr Vincent or schedule a video call session. Take this very simple test to see if you need this deliverance ministry exorcism. Please answer these questions honestly. No one will ever see your answers. This test is only for your personal self-inspection. If you answered YES to ANY of these questions, then Deliverance ministry with inner healing ministry is needed. These happy faces are just a few of the thousands and thousands of people that have been restored, healed, and delivered. Praise the Lord Jesus Christ! You may read many of their personal stories and TESTIMONIES of deliverance ministry, just Click FOR MORE TESTIMONIES CLICK HERE! Please also use the call-back form below for Personal & Skype appointments, so that your enq. doesn't get lost. 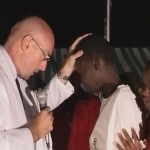 WHY DO SO MANY IN NEED CHOOSE PASTOR VINCENT FOR HEALING AND DELIVERANCE MINISTRY ? Evangelist Vincent's deliverance ministry has helped including the many crusades, conferences, services and one to one sessions in person millions of people! Vincent has been covered by many secular press and TV media in the United Kingdom, USA, Asia, Africa and many other nations explaining in detail what deliverance ministry and exorcism is. During a deliverance ministry, Pastor Vincent is lead powerfully by the Holy Ghost in prophetic insights and words of knowledge, his well purged gift of discernment in combination with a tremendous anointing and authority in the spiritual realm do make him unique in deliverance ministry exorcism. It is this and over a decade and a half of experience that makes Pastor Vincent's deliverance ministry so very successful to the Glory of the Father in Jesus Christ name. WHY SO MANY COME THAT HAVE ALREADY BEEN ELSEWHERE ? Indeed many have been to another deliverance ministry or several deliverance ministries without success lacking complete restoration and breakthrough. Then when they do find Pastor Vincent and consult him for deliverance ministry they do get totally set free, healed and restored. Besides all of the reasons in the paragraph above about why Reverend Vincent's deliverance ministry exorcism is so profound in being successful and acclaimed. Pastor Vincent has from the very beginning of his ministry obeyed the Lord in longingly studying in great depth the scriptures as well as studying and ministering MPD, D.I.D. and other identity disorders. Vincent meticulously studied the occult and Theology, Psychology, Psychiatry, psychological disorders and illnesses as well as psychiatric disorders, pshychoses and psychiatric illnesses. 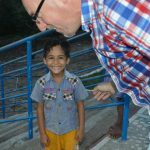 Vincent has ministered to many people under psychiatric care alongside and with full approval of their psychiatrists. Pastor Vincent studied the impact of soul wounds, broken-hearts in a spiritual sense and how that gives evil sprits (demons) a legal right and a stronghold. He studied in depth by ministering thousands of hours to alters, alter personalities, alter egos within a person meanwhile the Father purging the gift to discern between alter (alter ego, alter personality) and demon (evil spirit) which is imperative to complete success in deliverance ministry and ministering full restoration. That is a lot indeed but this is over a nearly 2 decades of hard work and devotion to the work of the ministry for Jesus Christ the Lord. This and an impeccable proven track record also gives Vincent the authority to speak, teach and author books on this subject deliverance ministry, including full restoration ministry. CAN IT BE SUCCESSFUL VIA CALL OR SKYPE ? 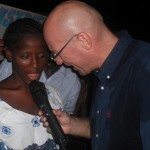 It works powerfully via call and Skype with Pastor Vincent, because of the tremendous anointing the Lord placed on him. 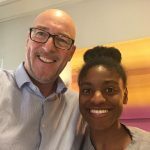 The Lord told Revd Vincent that he is empowered to minister from anywhere in the world to another person anywhere else in the world via call or skype, because of the busy international travel schedule Pastor Vincent has due to his international ministry and business work. FINANCES: A fixed donation for a deliverance ministry session is required and is Biblical. This is used to cover the many overhead expenses of the ministry including maintaining this huge website, outreach, crusades, staff, etc. And this goes towards our outreach missions, the ministry is a USA registered non-profit organisation with tax-exempt status in process and has the status of registered charity from the UK Charity Commission. Revd Vincent is also very busy internationally and has limited time available, but for those willing to invest in their restoration through our Evangelistic Ministry he will make time available, because this helps fulfilling the Great Commission, the preaching of the Gospel worldwide winning the lost. How to prepare for your deliverance ministry? Once your appointment has been confirmed, you will receive an email including video-link how to prepare for your appointment. How do you successfully maintain your restoration after deliverance ministry? This is a question that is asked very frequently. At your deliverance ministry session, you will be given a complete explanation. Based on your specific case, for maintaining your obtained freedom in Christ and how to successfully move on with your life in Christ. Pastor Vincent has amazing powerful anointed teaching series to edify and equip you after your session to obtain all of God's blessings, accomplishing the exceedingly abundant above all! If a follow up deliverance ministry session is required, in most case this is not, then this can be arranged in person or via Skype. Additionally, a vitally important must-have teaching for people that have had deliverance ministry exorcism is available here. It is a anointed Holy Spirit prompted teaching with all scriptural references touching on all the important topics for anyone who has received deliverance ministry, healing and inner healing or dissociate identity restoration. Thus leaving no stone unturned for you to live the promised scriptural life successfully, in health and prosperity. Recorded in full HD this video will be a blessing to watch time and time again. Click to BUY NOW stream version Maintain your deliverance! with life-long access, viewable on smart tv, smart phone, smart tablet, IOS, Android, Roku, Chromecast and Apple TV. Currently on special offer for $19.95 all currencies accepted and the link will auto convert. And then there is the IOSOD the international online school of deliverance ministry. 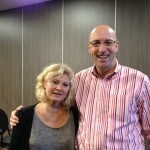 Which includes the very important inner healing, trauma counselling, MPD and D.I.D. restoration ministry. You can enrol in to become fully equipped in deliverance ministry, spiritual warfare and restoration inner healing, you can read all about this on the dedicated page. For ordering information or to see all of our available resources, please visit the dedicated pages. Why Spiritual Warfare Deliverance Ministry and exorcism? The Lord Jesus said in John 10:10 'The thief cometh not, but for to steal, and to kill, and to destroy: I am come that they might have life, and that they might have it more abundantly". Now that we have repented, turned away from sin and have surrendered our lives to the Lord Jesus Christ to live holy and righteous according to His word, God promises you to have life eternal. But He also promises an abundant life here and now, throughout the Holy Bible we read how God wants you to live a full life. He wants to bless you. The original word 'saved' in the Greek means also 'made whole'. Nothing broken and nothing missing. So God's plan for your life is for you to receive the promises of the Kingdom of God, however sometimes there are problems that stay, no matter how much we pray. Many a times they have a deeper rooted issue and often relate to scars, not physical scars, but soul scars, soul wounds, sometimes bad things have happened in the past. Here is where deliverance ministry exorcism comes in. Why can a Christian of all people have an evil spirit? The answer is in the great commission of the Lord Jesus Christ (Mark 16:15-17) It very simply means that the believers preach the Gospel to the unbelievers and after they have received it and repented the believers must heal them and cast out devils, Jesus Christ the Lord further clarifies this order in Luke 4:18 where you clearly see the 3 step order, 1st the preaching of the gospel, then the healing of the broken-hearted and then the deliverance. It is A not possible to cast out an evil spirit out of an unbeliever, because the Devil has a right to that person and B it is a blessed promise from the Lord that His children can and shall be delivered from evil spirits. We as a ministry use the term deliverance ministry and exorcism, because there is linguistically nor theologically nor technically anything wrong with the word exorcism, it just means casting out evil spirits. Expelling or casting out demons. Our Catholic friends are of course very familiar with the term Exorcism. But in some countries like United Kingdom the connotations and perceptions are very different from deliverance ministry, exorcism is predominantly the term used by the media and the movie industry, bringing scary connotations to the mainstream public. Biblical Holy Spirit lead deliverance ministry i.E. exorcism is not at all dangerous. But if you go to 'the sons of Sceba' people for deliverance ministry you are obviously not receiving Holy Spirit lead biblical deliverance or exorcism. For those that do not know Exorcism is from the Greek root word found in the scriptures of the Holy Bible and it is the casting out of evil spirits. The Lord Jesus Christ said in Luke 17:2 that 'He could not help that offences would come', bad things happen to good people, which have caused these scars, and often gave the evil spirit access to someone's life. It is an unfortunate consequence of the fallen world, now when your problem(s) do/does or has not gone away Deliverance ministry exorcism and Inner Healing Ministry is the answer. Jesus commands in His word in Luke 4:18 "Preach the Gospel, heal the broken-hearted and set the captives free", so that the Gospel must be preached, but also the broken-hearted must be healed and the captives must be set free! You see casting out devils, is part of the great commission as recorded in Mark, deliverance ministry exorcism is mentioned right there in the Great Commission. On careful study of the Bible and even very early church history, the myth that deliverance ministry was only performed by the Lord Jesus Christ and the Apostles is easily debunked. From reading the Gospels and the book of Acts it is evident that many early believers and disciples casted out devils by conducting deliverance ministry. Deliverance ministry we see is not an option but a direct command, mandate and commission from the Lord Jesus Christ to all believers. If you have been struggling with a problem, don't delay your freedom the Lord Jesus Christ accomplished on the cross and promised you and start living the Kingdom of God life. Schedule personal deliverance ministry now, we have people coming from all over the country and from abroad and the Lord is always working mighty miracles. And yes He wants you to be totally free also. Hallelujah.